Word 2019, Excel 2019, PowerPoint 2019 & Outlook 2019. Must be connected to the internet at time of download. Support Operating System: macOS Sierra, macOS High Sierra or later. 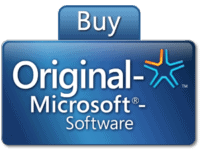 Recovery media, OEM media and MAR media containing Microsoft software must be redistributed as part of a complete package that contains the media, the original computer hardware with which the software was distributed and the corresponding COA label. This sale includes the Original Recovery Media and COA sticker for Office Home and Business 2019 for Mac, the original broken not economical repair computer and motherboard which is only available for pickup (contact us before purchase to arrange a pick up). If not picked up in 3 days after sale, it will be disposed. Otherwise you will only receive Office Home and Business 2019 Mac Product Key.